The first family photos you take together hold a special place in your heart. For the Zarings, a blended family living in Missouri, their first photos as a familial unit were, well, not what they expected. 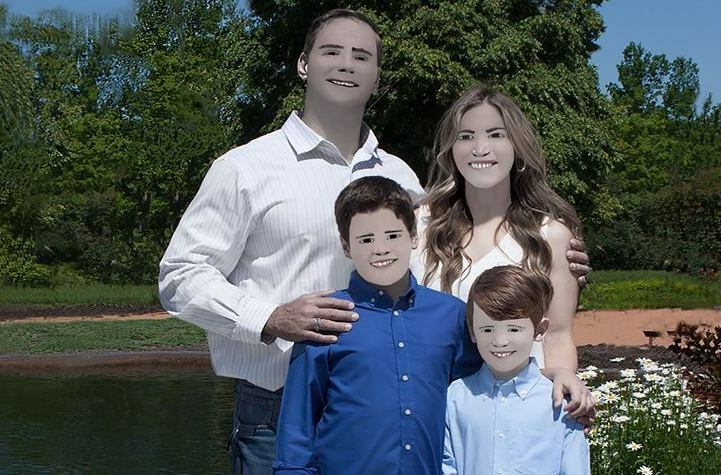 Not to be dramatic, but this family’s funny Photoshop fail is straight out of a horror movie. And the internet, of course, is cackling with glee. Typically, Photoshop jobs fall into one of two categories: hilarious or terrifying. Donald Trump’s water bottle fiasco turned Photoshop joke? Hilarious. The Photoshop fail on Bella Thorne’s movie poster? Terrifying. The Zarings’ family photos capture that unique combination of sidesplittingly funny and scary. Which also pretty much describes every family we’ve ever known (including our own). That’s why when mom Pam Zaring took to Facebook to share retouched images of her family’s photo shoot, users could definitely relate. According to Zaring’s post, they paid a photographer, who claimed to be a professional, upwards of $250 to shoot some nice family photos. Following their sun-drenched session, the photographer told Zaring that “the shadows were really bad” and the pics required a liiiittle retouching. But when she delivered the photos to the Zarings, they looked like this. "Ok. This is NOT a joke," Zaring wrote on Facebook. "We paid a photographer, who claimed to be a professional, $2-250 for a family photo shoot. Please see these FOR REAL photos she delivered to us....She said the shadows were really bad on the beautiful, clear, sunny day and that her professor never taught her to retouch photos." Really? We never would’ve guessed. Kids! Demon Grandma is here! Cost of a family photo shoot in St. Louis’s Forest Park: $250. Cost of a lifetime of laughs: Priceless. “I literally have not laughed this hard in YEARS!!!! 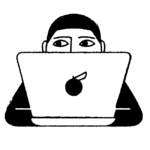 !” Zaring wrote. “You can’t make this stuff up.” And the internet can’t stop laughing, either. Pam’s Photoshop fail post has over 370,000 likes and 380,000 shares. Thanks for the memories (and the nightmares), Zaring family!